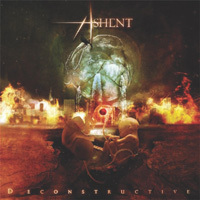 Sophomore album from Ashent from Italy is a very solid piece of progressive metal with a twist. The fresh blend of powerful and progressive metal with more modern and aggressive metal puts the band in place where they can shine on their own. Musically I would describe them as a mixture between Dream Theater, Symphony X, In Flames and Coheed and Cambria, and as weird as this combination it might sound they have managed to pull it off, and find a very small niche within the progressive metal genre. And everything works mostly due to the bands great writing abilities as well as a high technical level. The songs are all created around some very strong vocal melodies, and even though the tempo's vary a lot; the songs often go from soft to heavy in an instant they are always focused and precise. The outcome is a very well written and played album, but the growling and aggressive singing style in the songs might turn some off from a great album, which is a real shame because I think they have found a perfect balance between the extreme and innovative sounds they incorporate in their style. 08. How Could it Feel Like This?